I’m on just about every social site that there is on the internet. I have a Facebook that for me is just a social share site, I have an Instagram. I love the visual side to Instagram but then hate the limitations of not being able to have clickable links on my posts. Then there is Pinterest. Pinterest again is visual and of course Twitter with its character limitations. If you are using social media you are probably on a few of these social networks. They all have their places. And they almost seem to work together in that they all have their own place and rank within the social system. Facebook allows Pinterest to do what it does because Pinterest it doesn’t interfere with the Facebook business model. Instagram did and so Facebook bought them out. Twitter, well Twitter started before Facebook became the dominant force and now is just that little bit too big to have that easy fight with. A well they already limit themselves so not really a problem. All these sites co-exist in the system and dominate the social landscape but offer the average user very little and really don’t put out the best social message when using social media. 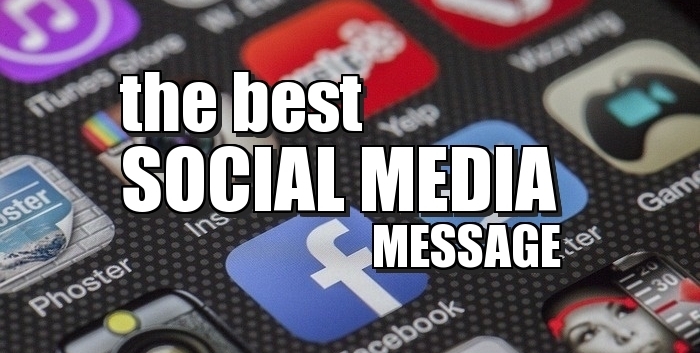 What’s The Best Social Message? Ok so there are users on Facebook who will argue, yeah Facebook ads rock, you can target XYZ and make big money. Yes, this is true but the point is why should you have to pay to pay to play. Those that do are those who are peddling the next big thing or how to make a million bucks in a day and it’s everyday users who see these ads and are disillusioned and so act on them and probably end up losing money and the little faith that they had left in the system. This is not the best social message to be sending out. 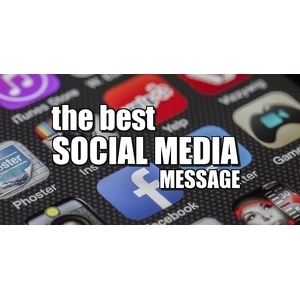 But as we know when using social media the best social message doesn’t bring in the dollars or at least not with the business models adopted by social networking sites. The social message doesn’t have to be like this. But for it to change to happen we have to show vision. We have to look past what is visible, Common sense needs to be applied and you have to want the change and fight for it. Because as sure as eggs are eggs the big social networking sites don’t want change. They are very happy to each have a slice of the cake. Is there such a thing? Well, I think so. And it really starts with acknowledging those that helped build up these social networking giants and that’s the members. After all, what is Facebook without its 1.79 Billion active monthly users? The good social message is that we give back to our members, we look after the content creators. We give value for the time our users spend on the site. We don’t limit views to pages and then upsell ads to reach a greater audience when it’s our audience already. That is not a good social message. Tweet This Facebook is a free social network, but how free is free? It’s time to reverse the flow of $$$$ to the major social sites and reward the content creators. Now I’m not talking about joining some tin pot wannabe site that is just pretending. I’m talking about a site with an incredibly important message. A good social message. A site with vision, with passion, that is all about the people. A site that is everything that Facebook, Twitter, and Instagram is not. A site that is a HUGE chance for everyone who has helped build up the big social networking sites and is now disillusioned by how they treat and use us for their gain. It’s visual, engaging, user-friendly has great management, is cutting edge, it really is all social networks in one app and site. And it really is the choice for creatives and content creators as the word gets out. 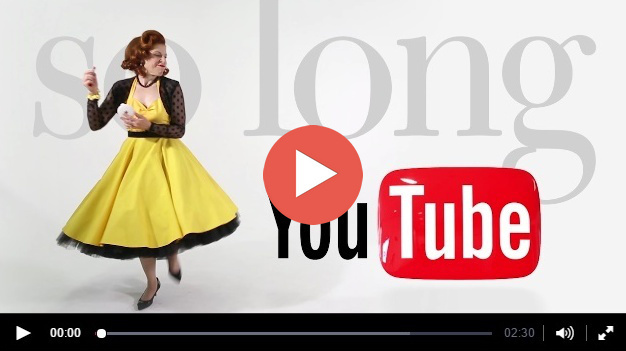 Artist Suzanne Heintz recently announced she was deleting her YouTube channel in favor of The8App. The reason? Suzanne was just tired of being viral click bait and so took her content to somewhere that puts out the good social message and values creatives. Change is never easy but unless we are prepared to change and are ready for the obstacles that are placed in our way then change never happens. 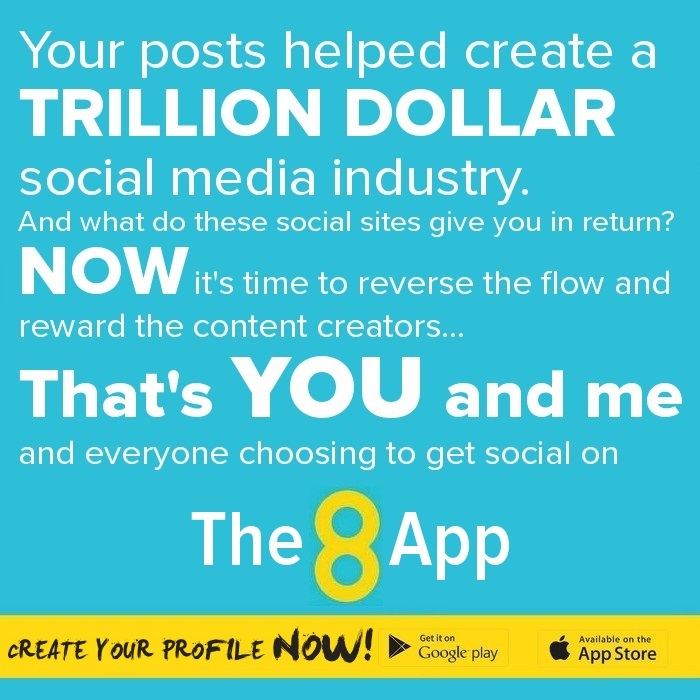 We have a big chance for change the way we use and are treated within social media with The8App. And a big chance to take advantage of the best social message when using social media. Great post, the8app is a really good opportunity to those that have their eyes open! Hi Dexter. It’s hard to keep up with social media – it keeps changing so quickly. I hadn’t heard of the 8app. I’ll have to check into it. Right now I’m trying to figure out Post Planner LOL. Thanks for this informative post. DeeDee Lynn recently posted…It’s time to celebrate Mail Order Gardening Month!